Early in the Civil War, three escaped slaves arrive at a Union fort to seek sanctuary from Major General Butler. Despite the conflict between the states, law requires that the slaves be returned to their rightful owner. Seeking a solution that satisfies both ethics and duty, Butler embarks on a battle of words and wits, calling into question what is legal versus what is right in a captivating story based on actual events. In 1861, Butler, played by Greg Vinkler, found himself commanding Fort Monroe in the battleground state of Virginia. Three asylum-seeking slaves from nearby Norfolk County, which was Confederate territory, made their way to Fort Monroe, presenting Butler with an ethical dilemma. Having been a lawyer on civilian street, and a Union officer for about 30 seconds, he took seriously the legal obligation to return property to its rightful owner, as required by the Fugitive Slave Act of 1850. But then, of course, that meant either A), likely returning a man to his death or B), assuming that man would be allowed to live, returning a man who would then be forced to try to kill Union soldiers. Neither was ethically satisfying to Butler. 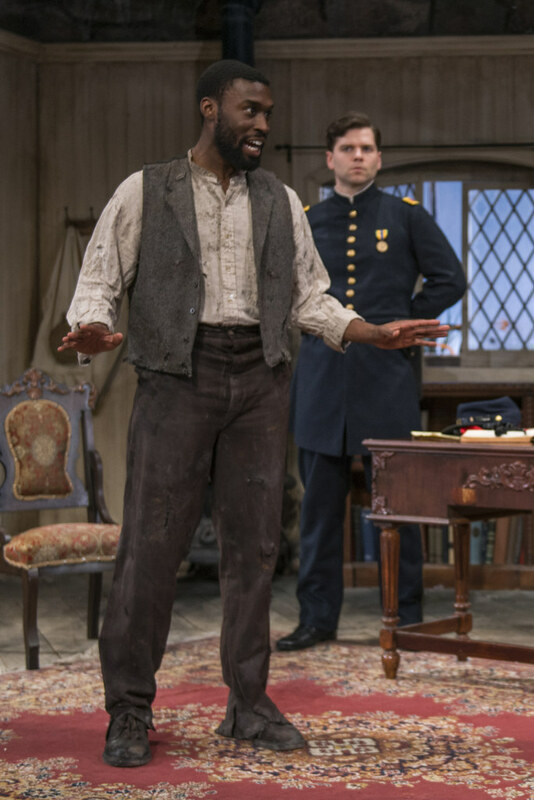 Only one of the slaves who initially came to Fort Monroe, Mallory, played by Tosin Morohunfola, is actually in Strand’s play, likely because Strand conceived the drama as a debate between Mallory, a smart and literate man who knew how to work on the margins, and Butler, no fool either. 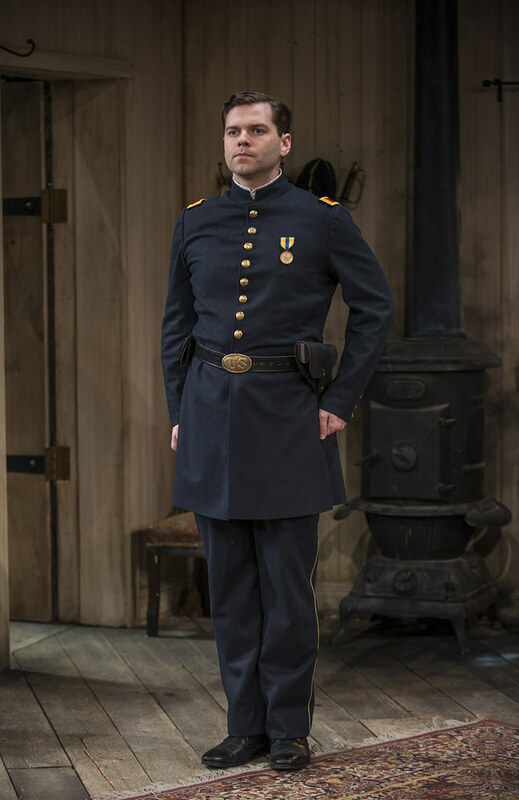 He adds in one Lt. Kelly (the very amusing Nate Burger) as the third military wheel who brings these two very different men together, and he also includes Maj. John Baytop Cary of the 115th (Tim Monsion), the Confederate officer who shows up at Fort Monroe under the flag of truce to get his slaves back. We all know how the war ended. So at no point in Butler are you thinking that Mallory is headed back South. So the appeal of this Civil War play, which is quite smartly drawn, mostly comes from feeling superior to Cary (Monsion happily plays into this) while siding with Butler and Mallory and enjoying their complicated verbal dance. 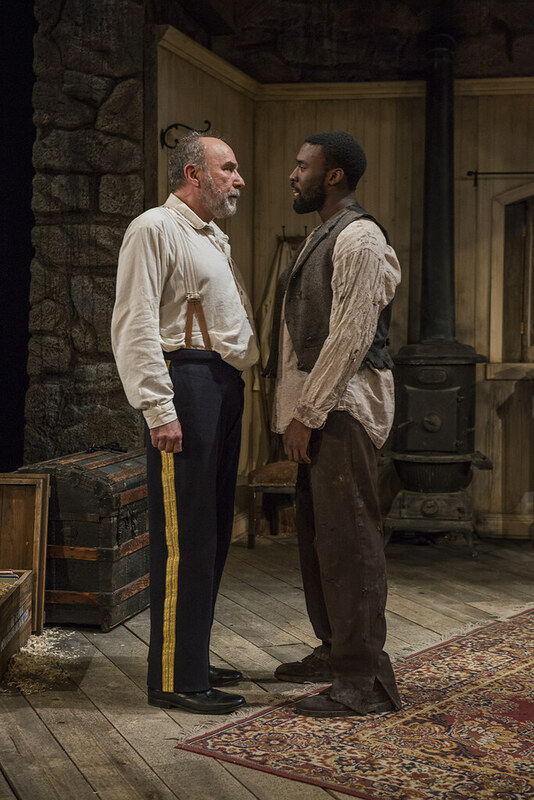 CRITICS’ PICK Through an intricate dance of witty dialogue, Northlight Theater’s production Butler by Richard Strand explores one moment in history which undoubtedly can be considered the prelude to not just the Emancipation Proclamation, but it also explains how Black men both free and escaped slaves were allowed to join as soldiers of the Union during the Civil war. 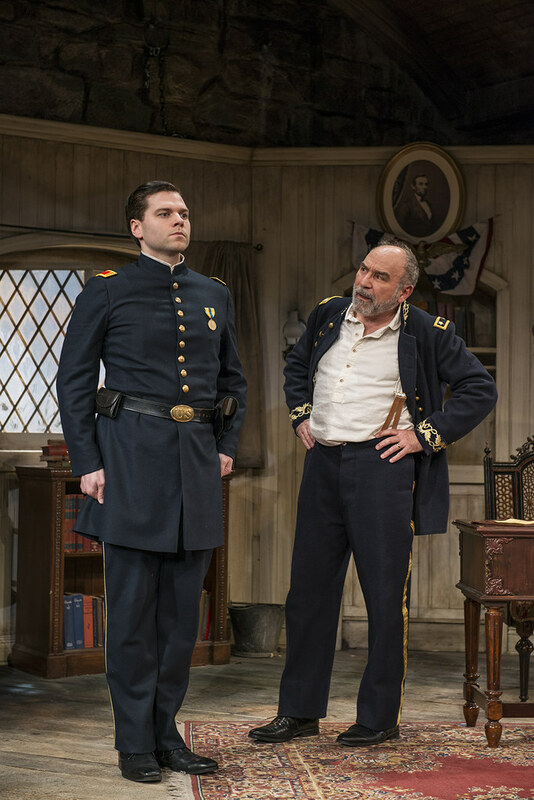 What happens is a masterfully woven comedy about slavery and a General’s radical decision that would presumably later influence President Abraham Lincoln’s freeing of all slaves. 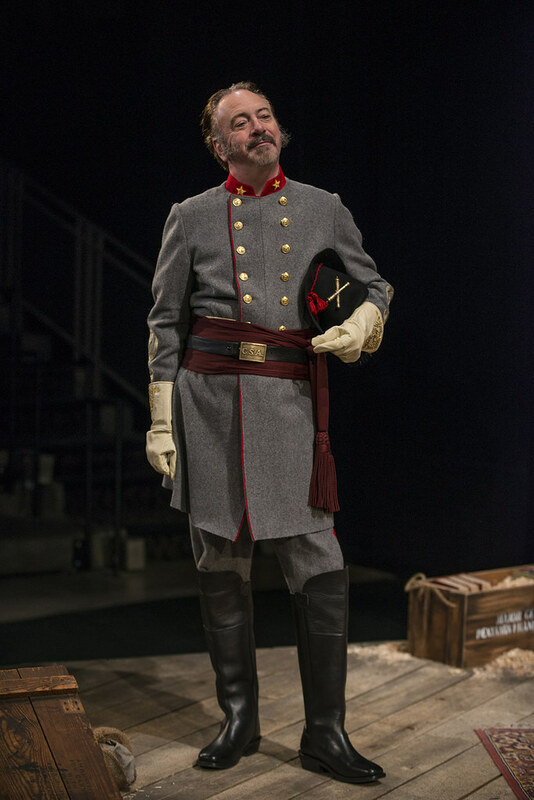 Butler is about as likely as a unicorn: a comedy about slavery and the Civil War. 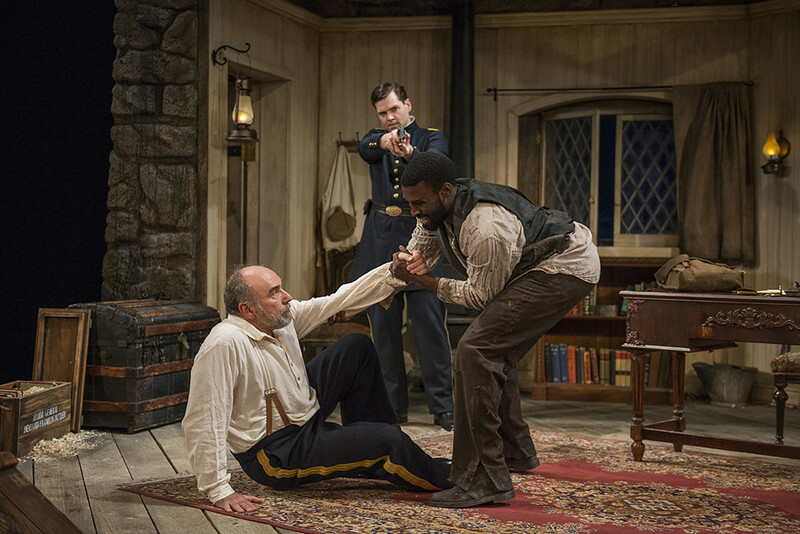 But a very smart script by Richard Strand, impeccable direction by Stuart Carden and especially the comic chops of the four-man company make both moving and hilarious this fictional re-telling of a real incident which helped turn the tide against the Fugitive Slave Act. Major General Benjamin Franklin Butler (the outstanding — no, astonishing! — Greg Vinkler) has just taken command of Fort Monroe, a Union outpost in Virginia, when escaped slave Shepard Mallory (Tosin Morohunfola, whom I’ve somehow never seen before but can’t wait to see again) shows up demanding sanctuary. 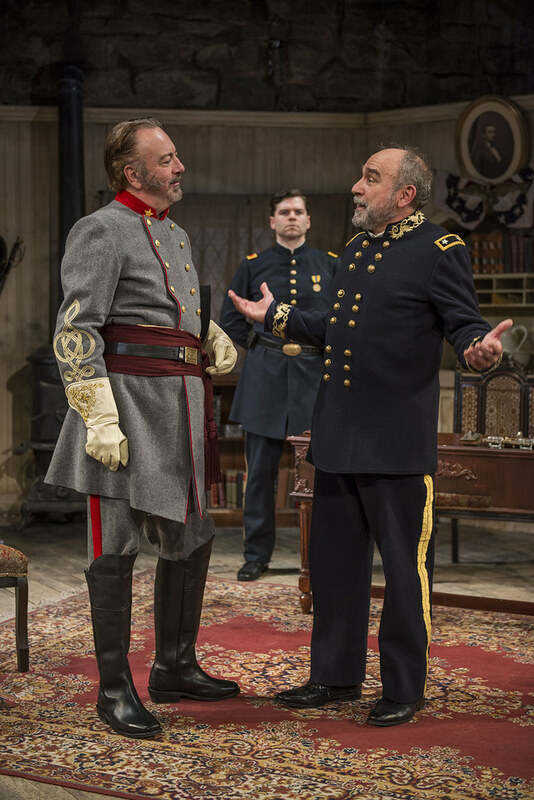 Their battle of wits, interspersed with commentary by Nate Burger as the General’s adjutant and high Confederate swanning by Tim Monsion as the officer sent to retrieve Mallory, is funny and profound and touching all at the same time. 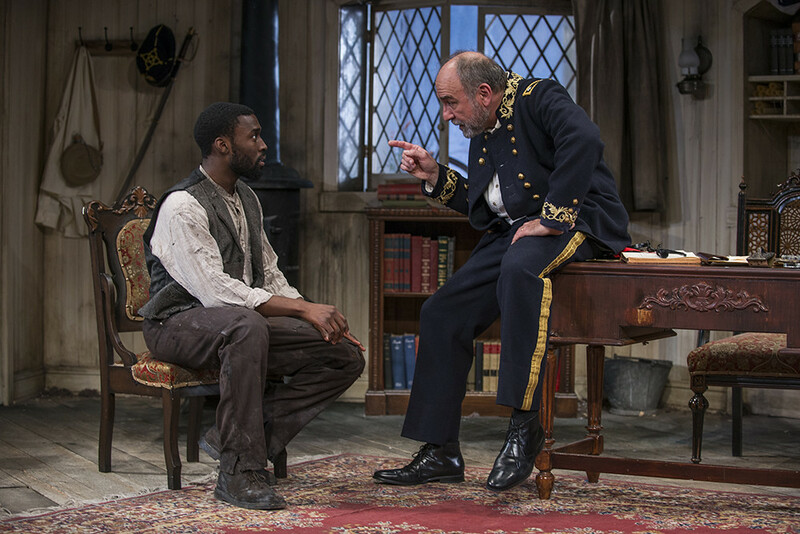 The most intense pleasure of the evening arises from Strand’s observation that these two apparent opposites — the black slave and the white general — are actually exactly alike. When you consider the source, the words are doubly shocking: “I have no purpose to interfere with the institution of slavery. I have no lawful right to do so, and I have no inclination to do so.” That’s President Abraham Lincoln talking in March, 1861, tacitly endorsing the concept of human beings as property. 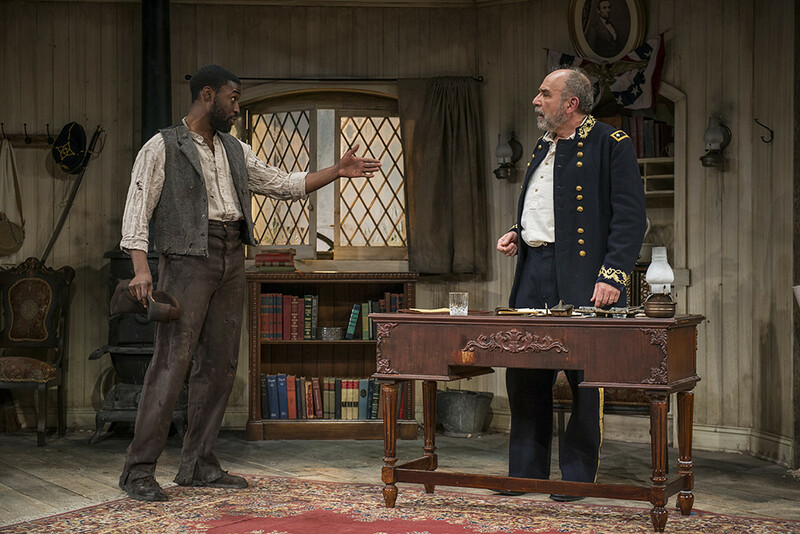 With Richard Strand’s drama Butler, Northlight Theatre delves a little-known slice of history that unfolds about two months after Lincoln made the above stance on slavery. The story of a field slave named Shepard Mallory (Tosin Morohunfola) and Union General Benjamin Butler (Greg Vinkler) changed the way the United States viewed slavery, and re-defined the issues at the heart of the Civil War. “What happens when the law is at odds with what’s morally right? That’s what this play addresses so powerfully,” says Morohunfola. Butler opens in May, 1861, shortly after Mallory escaped his plantation. Along with two others, he risked a perilous water crossing to seek refuge at Monroe Fort, under the command of General Butler. The conversation that ensued between the two men changed history. 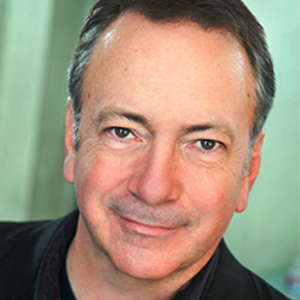 Greg is very happy to return to Northlight, having previously performed in 10 productions between 1980 and 1994. 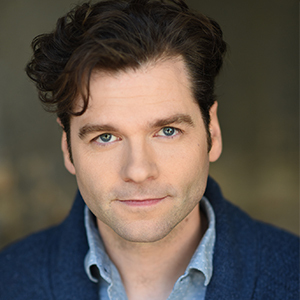 In the Chicago area he has also appeared at Goodman, Steppenwolf, Chicago Shakespeare (35 productions), Victory Gardens, Marriott Lincolnshire, Writers, Apple Tree, Shubert and Court. He is the recipient of three Joseph Jefferson Awards, two Artisan Awards and an After Dark Award. Greg directed the recent Jeff nominated The Rose Tattoo for Shattered Globe. Regionally he has been seen at Milwaukee Repertory, Pittsburgh Public, Paper Mill, Fulton, BoarsHead and Milwaukee Chamber. 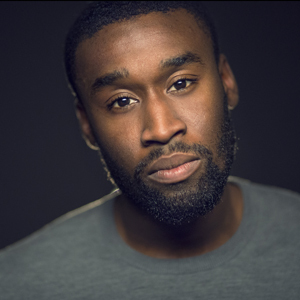 He appeared on Broadway in the Tony Award-winning revival of West Side Story and internationally at the Royal Shakespeare Company, London’s Barbican, Vienna’s English Theatre and Singapore Repertory. 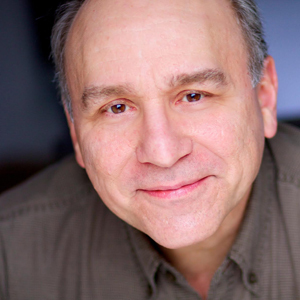 Greg serves as Artistic Director of Peninsula Players in WI. Strand wrote his first play in 1976, a one act entitled Harry and Sylvia. That play won two national awards, was published by Hunter Press and a full-length version of that same play, entitled Clown, premiered at Victory Gardens in Chicago. He has had premieres at GeVa in Rochester, Rivendell and Steppenwolf in Chicago, Cricket in Minneapolis, The Z Collective in San Francisco and a number of other venues. 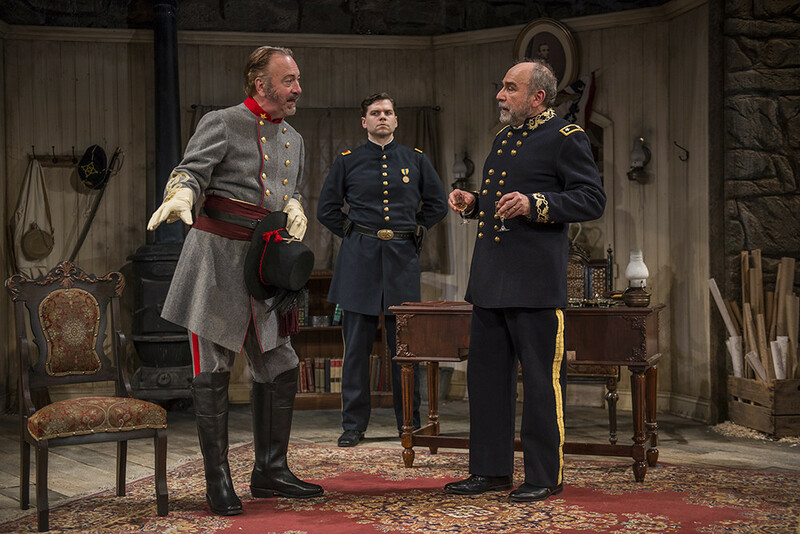 The Bug and The Death of Zukasky, premiered at The Humana Festival at Actors Theatre of Louisville. Ten Percent of Molly Snyder, My Simple City and The Second-Story Man were written in Iowa City, where Mr. Strand was a member of the University of Iowa Playwright’s Workshop. 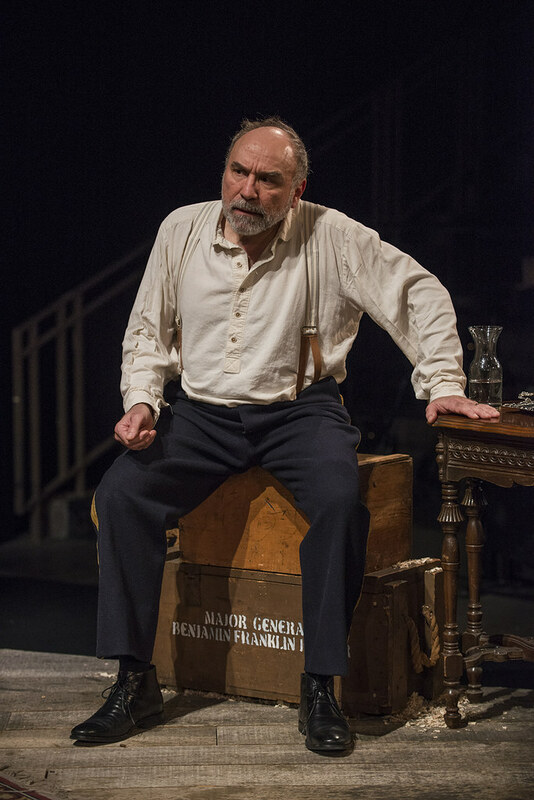 More recently, his plays Butler and The Realization of Emily Linder premiered at New Jersey Repertory. Mr. Strand currently lives in California with his wife, Mary Lynn. He is the chairman of the theater department, technical director and resident set designer at Mt. San Antonio College where he teaches History of Theater and Playwriting.